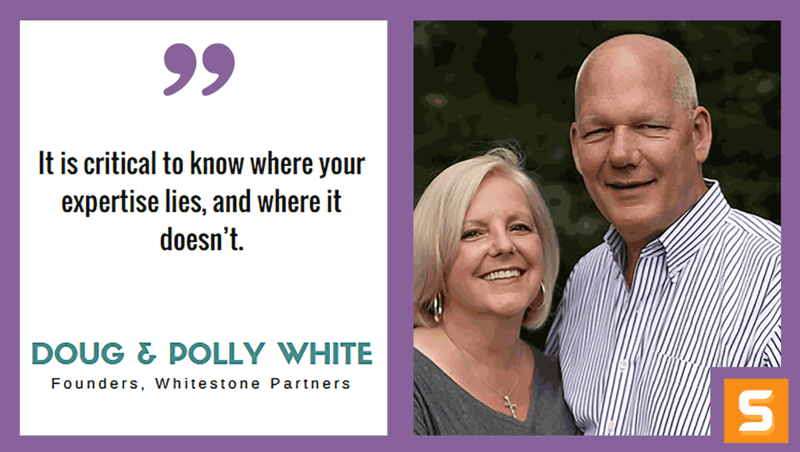 Doug and Polly White are the founders of Whitestone Partners. Through their columns, which appear weekly in several online publications including Entrepreneur.com, their books, videos and speeches, Doug and Polly focus on helping small business owners and their managers grow and improve profitability, understand and manage their people and their finances and achieve organizational efficiencies. In this interview, Doug and Polly share their secret sauce on how to run a business properly. Through their various backgrounds and excellence in many fields, Doug and Polly were able to build and propagate their consulting business from scratch, and successfully win over clients without hard-selling. Their biggest gold nugget - know where your expertise lies, get help where it doesn't. Get more impactful insights and updates from Doug and Polly by following them on Twitter. What ignited the spark in you to start a business? Where did the idea for Whitestone Partners come from? In 2009, we both found ourselves without jobs. We knew that finding a job at our level during a recession in Richmond, Virginia would be difficult at best. We were looking at the very likely prospect of having to move out of Richmond. Neither of us wanted to do that. Our lives were in Richmond—our families, our church, the home we built together, the college we support, etc. We very much wanted to stay in Richmond. Polly took us through a grid analysis—a decision making technique where you input the variables that are important to you and the options you have. The output is a rank ordering of your options from those that will likely allow you to accomplish most of what you want to those that will not. Launching our management consulting practice came out on top. The biggest benefit is getting to work together. Even if we aren’t working on the same client, we frequently discuss what is going on with each engagement. We are very much involved with each other’s work. We also appreciate the flexibility being an entrepreneur affords us. We don’t punch a clock. No one expects us to be somewhere from 9:00 to 5:00. If we want to do something during the middle of the day, we can. However, make no mistake, being an entrepreneur is hard work and a lot of it. It’s been said that entrepreneurs only have to work half time. They can do anything they want with the other twelve hours a day. How do you generate new ideas for Whitestone Partners to keep growing? Is there a secret that you have figured out over the years? Once we got our business off of the ground (described in the answer to the next question), client work has flowed in nicely. This has led to a significant number of new clients from referrals from existing clients. We have outstanding organic SEO. We are weekly contributors to RTD Business and Entrepreneur.com. 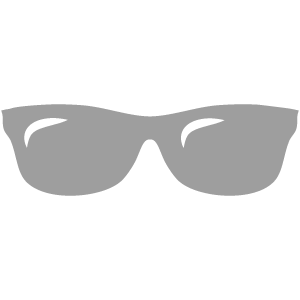 We post these articles on our blog. We then drive people to these articles by sending out tweets (with links to the articles) to our 170 plus thousand twitter followers. If you Google “small business consulting richmond va,” we come up at the top of the list. We have gotten a number of clients who found us searching the internet. We upgraded our membership in Chamber RVA to lead investors. This costs more, but it puts us in meetings and networking events with people who are potential clients. We have also become active in Chamber RVA (e.g., serving on and chairing committees). Again, this allows us to work beside prospective clients. Annually, we join Chamber RVA for their InterCity Visit. Each year we tour a new city and get behind the scenes insight with one hundred plus people from Richmond—some of whom are prospective clients. In fact, we met our single largest client on an InterCity Visit to Austin, Texas. Our client work pays the bills, but it has led nicely into other opportunities. For example, one of our clients needed a cash infusion. We now own 30% of his business. As a result of this, we have become angel investors and own portions of several other businesses. This has also led to the opportunity to invest in a number of real estate projects. As a consequence, we own all or part of about a dozen rental properties (both residential and commercial). We struggled to get our business off of the ground. We had been told that we needed to go to networking events. Exchange business cards with people and call them up for a meeting over a cup of coffee. This we did with a vengeance. In the fourth quarter of 2009, we had meetings with more than 250 people. This netted us exactly zero clients. It was then that we had what we have come to call our penetrating thrust into the obvious. None of the people we were meeting with could hire us. We needed to be meeting with the owners of small to midsize businesses. We were meeting with financial representatives, life insurance salespeople, loan officers, other small business consultants, etc. Unfortunately, we also knew that if we called small business owners and said were management consultants and we would like to meet with you, our request would be declined. We developed a technique we call research marketing, which we write about in our second book Guaranteed Access, how to get clients without selling. It turns out that small business owners will meet with you if you are conducting research to write a book. You can then parlay the initial meeting into three additional meetings where you can position yourself as an expert on the challenges the business owner is facing. We met and developed relationships with more than 100 potential clients in this way. This was the technique we used to launch our management consulting practice. 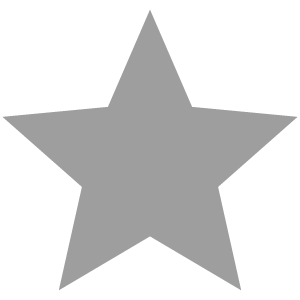 Some clients came directly from the interviews. Some clients contacted us after reading our book or hearing us speak about the book we wrote. By the way, you can’t be disingenuous. 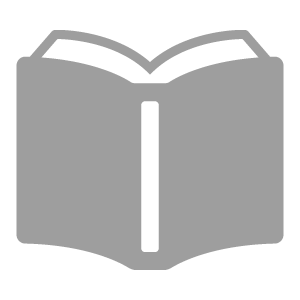 If you say you are writing a book, you have to write a book. The result of this effort was our first book, Let Go to Grow, why some businesses thrive while others fail to reach their potential. Our greatest fear is that work will stop coming in. We keep that fear under control by continuing our marketing activities—even when we have more work than we can say grace over. Who has been your greatest influencer along your entrepreneurial journey? How did they shape Whitestone Partners? From Doug’s perspective, the person who has had the greatest influence on how we have run Whitestone Partners is a gentleman named Marvin Bower. He was the patriarch of one of the preeminent management consulting firms in the world, McKinsey & Company. Doug worked at McKinsey for seven years and was heavily influenced by Marvin’s philosophy. The very simple rule for running a management consulting firm is, the client’s interests come first…always…no matter what. Sometimes this can mean telling client’s things he/she doesn’t want to hear. We have lost clients because of this. We have told clients that we don’t think it is in their best interest to continue working with us. This cost us a significant portion of our income at one point. It wasn’t good for us at the time, but it was best for the client. We believe firmly that if we put our client’s interests ahead of our own, in the long run, we’ll be fine. Polly was influenced by her stepfather, Karl. He was an internal trainer/consultant for Reynold’s Metals Company. He taught her about structuring content so that others could “get it.” He also gave her the insight that if you don’t like your life, you can change it. It may take you five or more years of work, but you can change your life. He was right. We have passed this advice on to clients and remind ourselves constantly. It may take time and hard work, but you can reach your goals and create the future you want. We won’t discuss differences between us and all other entrepreneurs, in general. However, we can outline the differences between us and other small business consultants or coaches. In short, it is our education and our experience. There are many small business consultants. Almost none can match the quality of work we deliver. Polly has a bachelor’s degree in business administration from Averett University, where she finished first in her class. She also holds a master’s degree in human resources management from George Washington University. Polly holds an SPHR (Senior Professional in Human Resources) and the SHRM-SCP (SHRM Senior Certified Professional) designations. She served as the head of human resources for three midsize companies in the Richmond area. The largest of which had more than 650 employees. Polly’s expertise is in human resources, people management and organizational effectiveness. Doug holds a BS in physics from Randolph-Macon College, a BS with high honours and an MS in mechanical engineering from Georgia Tech, and an MBA with distinction from Harvard Business School. Doug was a consultant with McKinsey & Company for seven years. He ran several divisions at Capital One with P&L responsibility and served as the CEO or COO of five small or midsize businesses. Doug’s expertise is in strategy, operation, finance, and all things quantitative. Together, we have more than sixty years of business experience—we have dealt with the full range of issues one faces in business. We have bought companies and sold them. We’ve executed turnarounds as managers and as consultants. We’ve developed marketing strategies that grew sales significantly and we’ve cut costs. We hired people, trained them, disciplined them and terminated them. We’ve done a lot of things that worked and some that didn’t, and we have the scars to show for it. But, through it all, we have learned. There is almost nothing a small business can face that we haven’t seen before and that we don’t know how to handle. Have you faced any failures with Whitestone Partners? How did you overcome it? Probably the biggest failure we have had was the trouble we had getting our business off of the ground. It took us years to get to the point where were paying our bills solely from our income rather than, at least in part, from our savings. We overcame it through perseverance. We tried things until we found what worked for us. Doug said many times, we are going to be successful because we are going to keep pounding at this until we are. The best piece of advice we received was to determine our goals. Put together a plan to achieve the goals. Execute the plan with full effort. Periodically step back and reassess both the goals and the plan. Make the appropriate adjustments and return to executing the plan. We’ve already described the worst piece of advice we ever received which was to build our business by attending as many networking meetings as possible and meeting people for coffee. What advice would you give to aspiring entrepreneurs in Richmond, VA who have a business idea but don’t know where to get started? • Get into business because you want to run a business, not because you want to do the primary work of the business. We say, if you want to bake pies, get a job as a baker. Open a bakery because you want to run a business and you happen to have a good recipe for pie. There is a lot more to running a business than doing the primary work of the company. Make sure you have a plan to get those ancillary tasks done. • Before launching a business, put together a solid business plan. Carefully, think through how long it will take for you to reach breakeven, how long it will take before you’ll be able to pay your personal bills from the proceeds of the business and how much money you will need to get you to that point. • Whatever your estimates above, know that it will take twice as long and cost twice as much. Be prepared for this. If you aren’t, don’t launch your enterprise. • Don’t be afraid to ask for help when you need it. Many people get into business because they are good at and passionate about the primary work of their business. They are great doctors, lawyers, plumbers, advertising people, property managers, contractors, etc. That doesn’t mean they know the first thing about how to run a business. It doesn’t mean they know how to hire people and manage them, how to develop a marketing strategy or how to develop a set of metrics that will enable them to run the business properly. It is critical to know where your expertise lies, and where it doesn’t. Get help with those things that are important but outside your primary area of expertise.